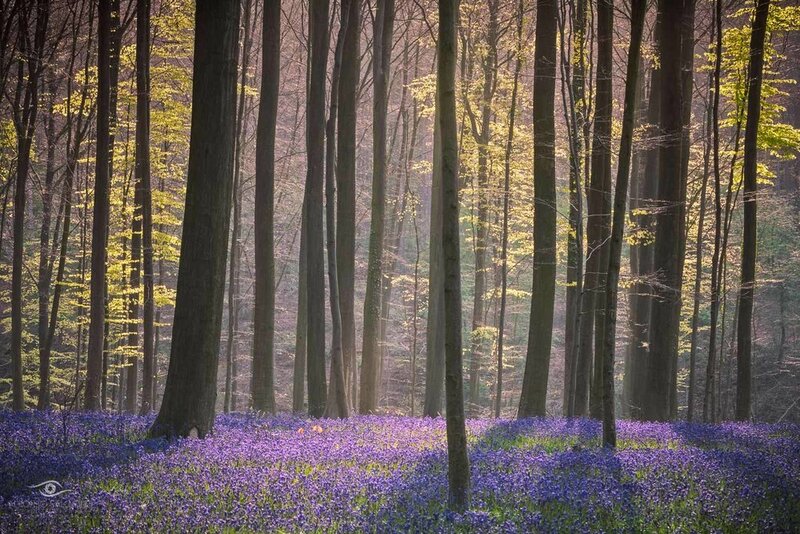 Join us for a landscape photography workshop in the Hallerbos, Belgium's magical bluebell forest. This workshop starts in the woods at daybreak in order to take advantage of the best lighting conditions. You will learn our photography techniques and hopefully head home with some stunning images of these unique woodlands. Please note that the workshop on 28 April 2019 will be guided by Christophe Van Biesen only, since Alfonso Salgueiro Lora will be travelling. Spots for the workshop will thus be limited to a maximum of 6 participants. You should bring along a computer to edit your pictures during the afternoon editing session. Make sure to pre-install Adobe Lightroom Classic CC. You can download a free trial on Adobe's website. Since this workshop will mostly take place outside, please dress appropriately depending on the weather conditions. You should also wear good hiking shoes. In case of cold weather don't forget your gloves. The Hallerbos is one of Belgium's best kept secrets. These magical woodlands lie near Brussels, the country's capital. Every year the floor of these woods is covered in a thick carpet of bluebells. In recent years, the Hallerbos has become a hotspot for visitors from all over the globe who wish to witness this stunning spectacle by Mother Nature. It is no wonder the bluebell forest has also become a coveted location for landscape photographers. There are plenty of opportunities to capture stunning images no matter the weather conditions. If you haven't been to Belgium's Hallerbos yet, you should definitely add it to your Bucket list. The workshop takes place in the morning and includes between 4 to 5 hours of on-location shooting as well as a 1 to 2 hours editing session. Since the flowering in the Hallerbos is dependent on weather, the organiser(s) cannot be held responsible for the lack or advancement of the bluebells.